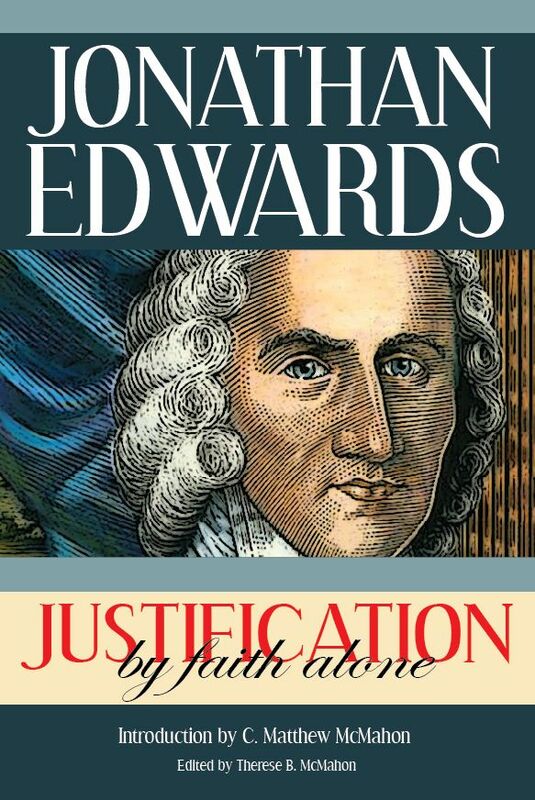 Edwards teaches that however hypocrites may continue for a season in the duty of prayer, yet it is their manner, after a while, in a great measure, to leave it off. 1. Hypocrites never had the spirit of prayer given them. They may have been stirred up to the external performance of this duty, and that with a great deal of earnestness and affection, and yet always have been destitute of the true spirit of prayer. The spirit of prayer is an holy spirit, a gracious spirit. We read of the spirit of grace and supplication, Zech. iii. 10. I will pour out on the house of David and the inhabitants of Jerusalem, the spirit of grace and supplications. Wherever there is a true spirit of supplication, there is the spirit of grace. The true spirit of prayer is no other than God’s own Spirit dwelling in the hearts of the saints. And as this spirit comes from God, so doth it naturally tend to God in holy breathings and pantings. It naturally leads to God, to converse with him by prayer. Therefore the Spirit is said to make intercession for the saints with groanings which cannot be uttered, Rom. 8:26. But it is far otherwise with the true convert. His work is not done; but he finds still a great work to do, and great wants to be supplied. He sees himself still to be a poor, empty, helpless creature, and that he still stands in great and continual need of God’s help. He is sensible that without God he can do nothing. A false conversion makes a man in his own eyes self-sufficient. He saith he is rich, and increased with goods, and hath need of nothing; and knoweth not that be is wretched, and miserable, and poor, and blind, and naked. But after a true conversion, the soul remains sensible of its own impotence and emptiness, as it is in itself, and its sense of it is rather increased than diminished. It is still sensible of its universal dependence on God for every thing. A true convert is sensible that his grace is very imperfect; and he is very far from having all that he desires. Instead of that, by conversion are begotten in him new desires which he never had before. He now finds in him holy appetites, an hungering and thirsting after righteousness, a longing after more acquaintance and communion with God. So that he hath business enough still at the throne of grace; yea, his business there, instead of being diminished, is, since his conversion, rather increased. 3. The hope which the hypocrite hath of his good estate takes off the force that the command of God before had upon his conscience; so that now he dares neglect so plain a duty. The command which requires the practice of the duty of prayer is exceeding plain; Matt. 26:41. “Watch and pray, that ye enter not into temptation.” Eph. 6:18. “Praying always with all prayer and supplication in the spirit, and watching thereunto with all perseverance, and supplication for all saints.” Matt. vi. 6. “When thou prayest enter into thy closet, and when thou hast shut thy door, pray to thy Father which is in secret.” As long as the hypocrite was in his own apprehension in continual danger of hell, he durst not disobey these commands. But since he is, as he thinks, safe from hell, he is grown bold, he dares to live in the neglect of the plainest command in the Bible. To keep up the duty of prayer after he hath given loose to his lusts, would tend very much to disquiet a man’s conscience. It would give advantage to his conscience to testify aloud against him. If he should come from his wickedness into the presence of God, immediately to speak to him, his conscience would, as it were; fly in his face. Therefore hypocrites, as they by degrees admit their wicked practices, exclude prayer. But it your case be such as is spoken of in the doctrine, it is surely time for you to seek a better hope, and another work of God’s Spirit, than ever you have yet experienced; something more thorough and effectual. When you see and find by experience, that the seed which was sown in your hearts, though at first it sprang up and seemed flourishing, yet is withering away, as by the heat of the sun, or is choked, as with thorns; this shows in what sort of ground the seed was sown, that it is either stony or thorny ground; and that therefore it is necessary you should pass through another change, whereby your heart may become good ground, which shall bring forth fruit with patience. I insist not on that as a reason why you should not throw away your hope, that you had the judgment of others, that the change of which you were the subject was right. It is a small matter to be judged of man’s judgment, whether you be approved or condemned, and whether it be by minister or people, wise or unwise. I Cor. 4:3. ” It is a very small thing that I should be judged of you or of man’s judgment.” If your goodness have proved to be as the morning cloud and early dew if you be one of those who have forsaken God, and left off calling upon his name, you have the judgment of God, and the sentence of God in the Scriptures against you, which is a thousand times more than to have the judgment of all the wise and godly men and ministers in the world in your favor. But how is a life, in a great measure prayerless, consistent with an holy life? To lead an holy life is to lead a life devoted to God; a life of worshipping and serving God; a life consecrated to the service of God. But how doth he lead such a life who doth not so much as maintain the duty of prayer? How can such a man be said to walk by the Spirit and to be a servant of the Most High God? An holy life is a life of faith. 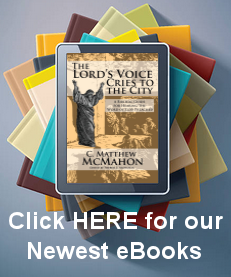 The life that true Christians live in the world they live by the faith of the Son of God. But who can believe that man lives by faith who lives without prayer, which, is the natural expression of faith? Prayer is as natural an expression of faith as breathing is of life; and to say a man lives a life of faith, and yet lives a prayerless life, is every whit as inconsistent and incredible, as to say, that a man lives without breathing. A prayerless life is so far from being an holy life, that it is a profane life. He that lives so, lives like an heathen, who calleth not on God’s name; he that lives a prayerless life, lives without God in the world. Without any heavenly seed remaining in them, men may whenever they fall in among the godly, continue all their lives to talk like saints. They may, for their credit’s sake, tell of what they have experienced But their deeds will not hold. They may continue to tell of their inward experiences, and yet live in the neglect of secret prayer, and of other duties. Perseverance in the duty of prayer is very much insisted on in the New Testament; as Luke xviii. at the beginning, “A man ought always to pray, and not to faint;” i. e. not to be discouraged or weary of the duty; but should always continue in it. Again, Luke xxi. 36. “Watch ye therefore, and pray always.” We have the example of Anna the prophetess set before us, Luke i. 36, &c. who, though she had lived to be more than an hundred years old, yet never was weary of this duty. It is said, “She departed not from the temple, but served God, with fastings and prayers, night and day.” Cornelius also is commended for his constancy in this duty. It is said, that he prayed to God always; Acts 10:2. The Apostle Paul, in his epistles, insists very much on constancy in this duty; Rom. 12:12. “Continuing instant in prayer.” Eph. 6:18,19. “Praying always with all prayer and supplication in the Spirit, and watching thereunto with all perseverance.” Col. 4:2. “Continue in prayer, and watch in the same.” I Thess. 5:17. “Pray without ceasing.” To the same effect the Apostle Peter, 1 Pet. 4:7. “Watch unto prayer.”….Thus abundantly the scripture insists upon it, that we should persevere in the duty of prayer; which shows that, it is of very great importance that we should persevere. If the contrary be the manner of hypocrites, as hath been shown in the doctrine, then surely we ought to beware of this leaven. 1. That perseverance in the way of duty is necessary to salvation, and is abundantly declared so to be in the holy scriptures; as Isai. 64:5. “Thou meetest him that rejoiceth and worketh righteousness, those that remember thee in thy ways: Behold, thou art wroth, for we have sinned: In those is continuance, and we shall be saved.” Heb. 10:38, 39. “Now the just shall live by faith: But if any man draw back, my soul hath no pleasure in him. 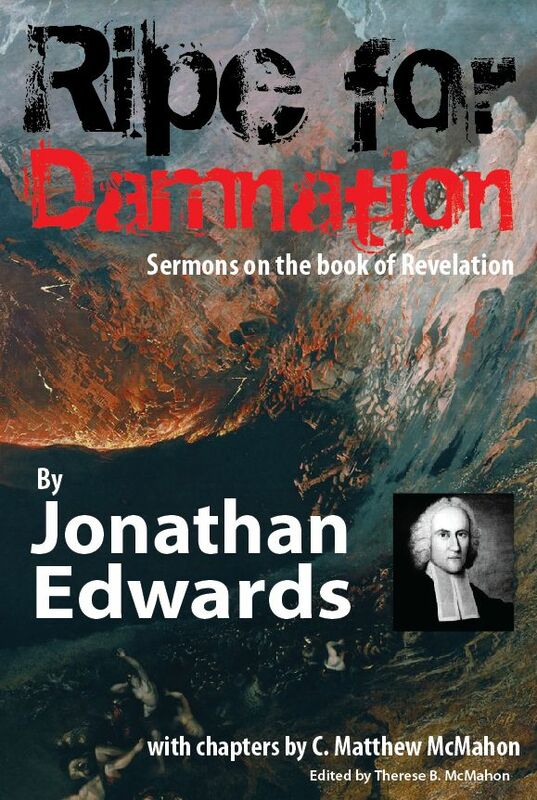 But we are not of them who draw back unto perdition; but of them that believe to the saving of the soul.” Rom. xi. 22. “Behold therefore the goodness and severity of God: On them which fell, severity; but towards thee, goodness, if thou continue in his goodness; otherwise thou also shalt be cut off….So in many other places. 2. In order to your own perseverance in the way of duty, your own care and watchfulness is necessary. For though it be promised that true saints shall persevere, yet that is no argument that their care and watchfulness is not necessary in order to it; because their care to keep the commands of God is the thing promised. If the saints should fail of care, watchfulness, and diligence to persevere in holiness, that failure of their care and diligence would itself be a failure of holiness. They who persevere not in watchfulness and diligence, persevere not in holiness of life, for holiness of life very much consists in watchfulness and diligence to keep the commands of God. It is one promise of the covenant of grace, that the Saints shall keep God’s commandments. Ezek. 11:19, 20. Yet that is no argument that they have no need to take care to keep these commandments, or to do their duty. So the promise of God, that the saints shall persevere in holiness, is no argument that it is not necessary that they should take heed lest they fall away. 3. To move you to persevere in the duty of prayer, consider how much you always stand in need of the help of God. If persons who have formerly attended this duty, leave it off, the language of it is, that now they stand in no further need of God’s help, that they have no further occasion to go to God with requests and supplications: When indeed it is in God we live, and move, and have our being. We cannot draw a breath without his help. You need his help every day, for the supply of your outward wants; and especially you stand in continual need of him to help your souls. Without his protection they would immediately fall into the hands of the devil, who always stands as a roaring lion, ready, whenever he is permitted, to fall upon the souls of men and devour them. If God should indeed preserve your lives, but should otherwise forsake and leave you to yourselves, you would be most miserable: Your lives would be a curse to you. 1. Watch against the beginnings of a neglect of this duty. Persons who have for a time practiced this duty, and afterwards neglect it, commonly leave it off by degrees. While their convictions and religious affections last, they are very constant in their closets, and no worldly business, or company, or diversion hinders them. But as their convictions and affections begin to die away, they begin to find excuses to neglect it sometimes. They are now so hurried; they have now such and such things to attend to; or there are now such inconveniences in the way, that they persuade themselves they may very excusably omit it for this time. Afterwards it pretty frequently so happens, that they have something to hinder, something which they call a just excuse. After a while, a less thing becomes a sufficient excuse than was allowed to be such at first. Thus the person by degrees contracts more and more of an habit of neglecting prayer, and becomes more and more indisposed to it. And even when he doth perform it, it is in such a poor, dull, heartless, miserable manner, that he says to himself, he might as well not do it at all, as do it so. Thus he makes his own dullness and indisposition an excuse for wholly neglecting it, or at least for living in a great measure in the neglect of it. After this manner do Satan and men’s own corruptions inveigle them to their ruin.